Furstock Studios is a music production studio run by multi ARIA award winning sound engineer, Doug Brady. Doug has over 35 years of industry experience with credits that make him one of Australia’s most prolific and successful music engineers with an impressive list of clients and artists which includes some of the worlds most successful names in the entertainment industry. In addition to being chief engineer at Furstock Studios, Doug is currently Music Audio Director/Engineer for The Voice and Voice Kids Australia. With nine studios under his belt, Furstock Studios at Younghusband boasts a charming collection of materials and equipment Doug has collected over the years. Doug continues to work on a range of projects from music to audiobooks, but his focus on securing the future of the recording industry in Australia continues to grow. He has a number of ideas on how to stimulate the industry and calls for others to get involved. 1. What does Furstock Studios do and what kind of magic happens within the studio? To put it simply, we’re audio specialists. Anything to do with audio, we do. Whether it’s with music, mainly music, mobile recordings, audiobooks, film or television, we do it. Magic happens just from stepping into our studios. A lot of people are recording at home these days, but it’s not the same as stepping into a recording studio. When you come to Furstock Studios, you come to perform. We also have a writing studio where artists like coming so that they can get into the zone. Working with our team of professionals in an environment that feels homely helps artists to harness their nervous energy, and the great equipment instantly gives them a lift. When an artist is comfortable, feeling inspired, has great gear to use and an experienced producer/engineer that they trust to pull something special out of them - that’s when the magic happens. 2. Can you tell us a bit of the history of Furstock Studios and the story behind how you started? Furstock Studios is actually the ninth studio I’ve built or been involved in because I keep getting kicked out of spaces as the buildings have been redeveloped. When my last recording studio, in a New York style warehouse in Collingwood, was set to be redeveloped, I thought I needed a break from building studios. But then a friend who was working from Younghusband woolstore, asked me to come down and have a look out of interest, it just felt right - it felt like the perfect place for a recording studio. As for the name, I like to name studios relating to the buildings they’re in. One day I was coming into the Younghusband woolstore and read the writing on the building out loud ‘Skins Hides, Wool Fur Stock’, I thought ‘Furstock’, that’s kind of cool. It reminded me of Woodstock and sounds established like the building we’re in. 3. What are some of the most important things you’ve captured in your studio design that helps bring out the best in any instrument? Are there any special touches that makes Furstock Studios unique? I’m a mad recycler of music studio materials and have been collecting since the 80’s, so all of the materials in Furstock Studios I’ve collected over the last 40 years. I’ve actually got three shipping containers full of equipment to draw on. Furstock Studios has a lot of original sound trapping and sound baffling that came out of the old studios, like Metropolis or AAV. Materials also come from an old aircraft studio I had in Fisherman’s Bend, that had a walk-in vault and was where I recorded sound track for the 2000 Olympic Games. We have a desk made in the 70’s that was from a studio in Nunawading and used to produce Young Talent Time. It’s definitely not about cost; materials that were made back that were such good quality that I prefer to use them than having new materials made. Being built out of history also adds to the character of our studios. So I’d have to say our historic materials are pretty special, as well as the vocal chains, our 300 plus microphones and the way we record after so many years of experience. 4. Can you tell us about the Furstock Studio team mix and the different talents they bring. I’ve always focused on the creative side so I have a technical partners, including David Drew, who is a guru in anything technical from rebuilding the gear to streaming. We also have a team of talented producers, musicians and audio engineers, like producer Greg O’Shea and musicians Steve Wade and James Franklin. Steve and I go back a long way, we used to spend weekends in the first studio I worked in multitracking many vocals on a 2inch 24track when I was 17. We do a lot of writing and production at Furstock Studios, so anything creative you can do in a space like this, we have a great team to make it happen. 5. You’ve worked with some of the biggest names in the music industry, including David Bowie, Lenny Kravitz, Katy Perry, Jennifer Hudson and Kelly Rowland to name a few. Who are some of the most exciting artists to have come through Furstock Studios? They’re all kind of fun. But John Farnham, Olivia Newton-John and Kate Ceberano stand out. I love working with John, we have a ball and it feels really good working with him. I really like working with Delta Goodrem; I did an acoustic version of her 10 year album which I recorded in Sydney but mixed here at Furstock Studios, that’s a great album. Recently I worked with Human Nature on a live album TV show, I think they’re amazing. I recorded the Two Cellos at the Opera House in Sydney which I mixed here, that was fun. I also absolutely love mixing sound to picture. My first film was the original Crocodile Dundee when I was 22 in 1986 at Soundfirm. Working on Romeo and Juliet was a highlight as well. At the moment I’m mixing in 5.1 for the score of a new HBO series. 6. 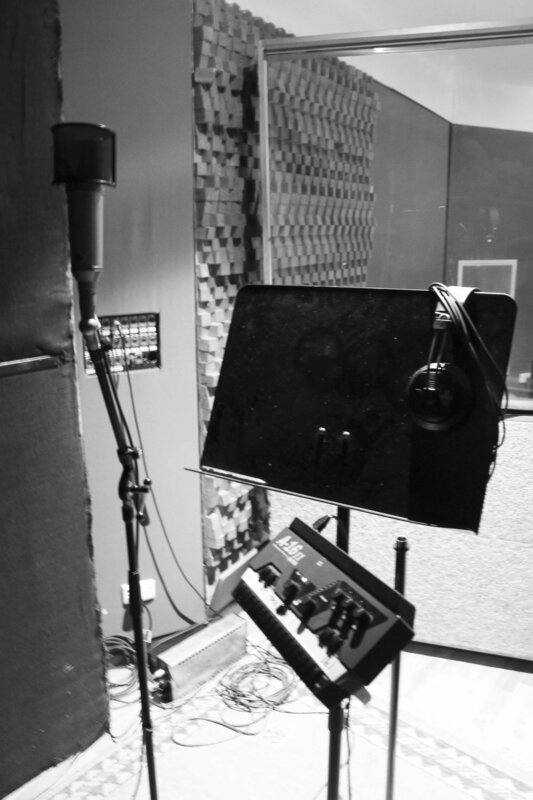 Can you tell us one of your fondest memories in the recording studio? I have crazy stories. Most are probably not appropriate to tell here. Maybe I’ll write a book one day. Probably the best fun I‘ve had is my experiences working with John Farnham. He’s such an artist, a singer and musician, but good fun too. Having Farnham stand next to you when he’s belting out a song like The Power gives you goosebumps, it’s incredible. There have also be incredible people like Tina Arena. She could listen to a song once, remember it, sing it, and you could almost use the first take. 7. What can people do to support the Australian recording industry, and make sure unique studios like Furstock are there to support artists? Here’s the saddest thing about our industry: when people started downloading free music from the internet all the budgets went out of records. Even major record companies weren’t seeing returns, so they wanted to cut down costs on recording by slashing recording studio budgets or finding other ways to record. All of a sudden, Australian recording studios were falling over. To add to the problems, starting in the late 90’s, record companies were encouraging artists to record overseas. Now, I know this isn’t news to you, but we haven’t done a lot to address the fall out and I’m worried about the future of the recording industry in Australia, so much so that I’ve written to multiple prime ministers, government leaders and major record companies. My message is that the government is supporting schools to educate kids in the craft of being recording engineers, but the recording studios or industries don’t have the capacity or support to take on kids for training, let alone jobs. Furstock Studios has been able to take some students for work experience, and I really love helping kids and inspiring them. The kids we’ve had through here love it, but I get many requests a week that I can’t accommodate. There needs to be more incentives for recording studios to take in students to gain experience and set up mentoring programs. When I was learning in the early 80’s and 90’s, it was the best time because record companies would bring amazing producers to Australia from overseas. I was lucky enough to work with and learn from some of the most amazing producers, Steve Hillage Gavin Mackillop,Mark Berry to name a few, including Don Henley's man, Hawk Wolinski who taught me different ways to comp vocals. That exchange just isn’t happening any more because projects that could have been made in Australia were being spent overseas. If that’s happening, then why don’t record companies send a young engineer over with the project, get the experience and bring that knowledge back to Australia. Or could we have an artist incentive, such as a tax break for recording and mixing in Australia. It’s not like you have to go overseas for sales, some of the best Australian records were recorded here, like INXS, Little River Band, Men At Work, Savage Garden, are all sounds that have been embraced by the rest of the world. I would love to get the industry together with government to have talks about how we can stimulate the recording industry. If Furstock Studios could somehow create change in this area, that’d be a great achievement. 8. What can we expect from Furstock Studio in the upcoming year, have you got anything exciting in the works that you can share with us? We’re developing all the time. One of the things that I want to get going is a music chat show at Furstock Studios. We have great musicians in Melbourne and Australia and I would love Furstock Studios to the be the place where we can show them to the world. We’re also shifting to another space in Younghusband where the old nightclub used to be. As well as that, we now have mobile recording suites that can travel around Australia taking our gear to any club, pub or events space. We have recorded at many schools in their great environments, like Griffith University in Brisbane for the opening of the Ashes last year, the Catholic Schools Time To Shine at the State Theatre and many more. Recently we have also started sharing some of our space with Avid Australia, which is called Avid Space Melbourne. We think this is really exciting for the community, our customers and Avid. It allows a space where the latest audio technologies from Avid can be experienced hands on. The space is also used for training and education which is something we are very fond of as of, as we not only want successful outcome for our customers but also help the next generation engineers, producers and musicians. As long term users of Avid’s products we are excited about what this great partnership hold going forward. 9. What do you like most about within in the Younghusband woolstore? It’s quite funny but I actually looked at building a studio here about 10 years ago when I was creating all the voices for Walking with Dinosaurs for Bill May who had an events space here at number 10, but another opportunity came up. It’s such a beautiful building, I love old buildings, they are perfect for recording studios, especially with all the timber. I love the location of Younghusband, the nature of the building and creative people here, it just felt right, it felt like the perfect place and vibe to build our Furstock Studios.